It has been seven months since Kyleigh went to heaven and every day, her brother tells us he misses her. My fingernails have stopped growing. They are back to their pre-pregnancy-non-growing self, which means that one more part of my body has returned to “normal.” It took seven months for this to happen. After seven months, it’s still hard to concentrate and remember the details of day to day life. I fail to return phone calls or answer emails in a timely manner. If I don’t write it down, I don’t remember it. Even as I type this, I forget what I was going to say. It has been seven months and life for most of those around us has gone on. Work, school, daily activities, vacations, holidays, weddings, family photo shoots, births, soccer games, etc. happen around us every day. I know we are not forgotten, but some days it sure feels like it. I continue to drive the 40 miles one way to get my hair cut. I do this because I know that even after seven months, Lois cares. I can go get my hair cut and spill my guts about whatever is going on and I know that she is listening. I can talk about Kyleigh, my grief, my family, my God and no matter what I say, she has words of wisdom and honors God in all she says. After seven months, I can walk into the houses of my friends and see pictures of Kyleigh. Some are on refrigerators with magnets, while others are in frames on a dresser. They have not taken them down. They didn’t just put up her picture for a month or two. Her picture is there to stay. It has been seven months and I still lack the motivation needed to lose the extra weight. Exercising just sounds dreadful and while I am attempting to eat healthier, the Halloween candy is not helping my cause. Today I met one of my nurses for coffee. After seven months, I am able to enjoy conversation with others and even laugh a little. It is good to share the details of life with someone who was there with me during the hardest time of my life. After seven months, there is still sadness in our home. Sure, we have lots of fun with lots of laughter. How can we not with two little boys? We enjoyed our family outings this fall … the zoo, pumpkin patch, trick-or-treating … but we are still very aware that someone is missing from our family picture. After seven months, I still miss my baby girl. I love her just as much as I love her brothers. She will always be a part of who I am. One year ago today, we moved 40 miles from our first home north of the city back to our hometown. When Rodger and I met in high school, it was the only high school in town. Now there are three. We got married in the sanctuary at the Methodist church that I grew up in. 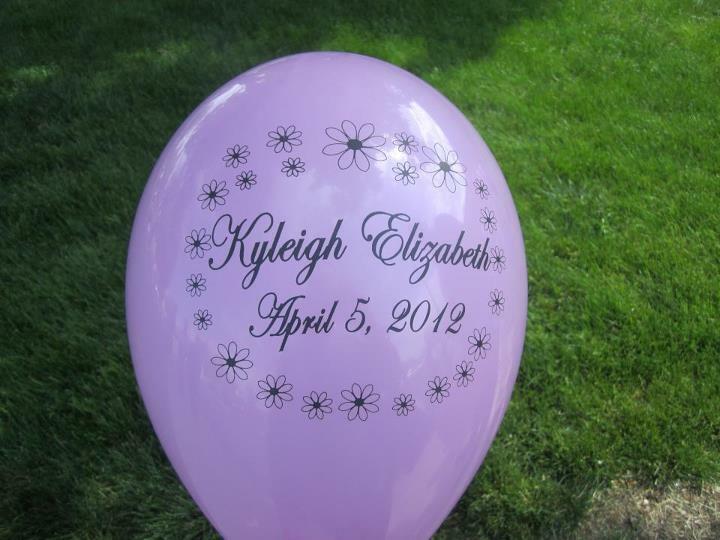 In two days, it will be five months since we held Kyleigh’s celebration of life in that same sanctuary. Just a short two years ago, we were comfortable where we were living and where we were going to church. We didn’t have plans to change churches and we certainly weren’t planning on moving. Then God called. We didn’t fully understand it at the time. Out of the blue, we both started feeling the nudge to leave the church that we had been members of for 9 years. Nothing happened to make us mad. We had no clue as to where we wanted to start worshipping. We just knew that God was calling us to step out of our comfort zone and move on. So we did. A few months later, we felt the nudge again. Only this time, it was to move. Not just move churches, but to move households. Granted, Rodger’s office was talking about changing locations and the two options were further away than where he was already commuting to. But he could have made the drive. He’s done it before. But it was more than that. We both had this overwhelming sense that this was what we were supposed to do. It was hard to explain to most people, except our parents, who were ecstatic at the possibility of their grandchildren living much closer. So we moved. We sold our house in less than three months during a time when houses just weren’t selling. We found a house that fit our family in the neighborhood that we wanted to move to. The owners had already moved, so the house was empty and ready for a new family. We found out we were expecting a baby three days after we sold our house and one day before we bought our new one. We moved four weeks later and it all made sense. If only we had known how much sense it really did make. Looking back over this last year has put a lot of things into perspective. Every move made sense in our own way. What we didn’t see was God’s plan in all of it, even though every move we made was because of nudges from God himself. It’s hard to explain and even harder to understand. God nudged us to change churches because He knew we wouldn’t even entertain the idea of moving 40 miles away if we were still rooted in our church of over nine years. He nudged us to make that 40 mile move to not only be closer to both our sets of parents, but also to find our way back to the church where I grew up, where we got married. It was a personal challenge for me to start attending this church again, but there’s no doubt in my mind that God placed us there because He knew that’s where we needed to be when Kyleigh was born and died. On this day, a year after we moved, more memories have been made. My parents are celebrating 40 years of marriage today. Last night, my sister and I surprised them with an anniversary dinner with family and friends. Rodger and I transferred our membership back to the church where we got married in today. The meeting that we attended today for this purpose was moved from a small room in the church to the sanctuary because there were so many people attending the class. When we told the pastor that we couldn’t go in the sanctuary, there were no questions asked. He understood and made alternate arrangements for us so that we could still get the information needed to become a member. You see, we attend worship in another part of the church and have not been back into the sanctuary since Kyleigh’s service. It’s just too much for us right now and he knew that without us even telling him. We ended the evening with an impromptu hot dog roast over the fire pit with some friends who also happen to be neighbors. As the kids were running around in the dark, Oliver abruptly stopped, realizing that his first loose tooth had fallen out. He quickly started crying, not because his tooth fell out, but because he knew that in the dark of the grass, it would be hard to find his tooth. As we looked around, I felt something on the bottom of my foot. I dismissed it, thinking it was a crumb or dirt. Even as I continued to walk around, it didn’t fall off. Then I felt a nudge. Something telling me to pick whatever it was off the bottom of my foot. As I picked my foot up and took it off, I realized that it was Oliver’s tooth. 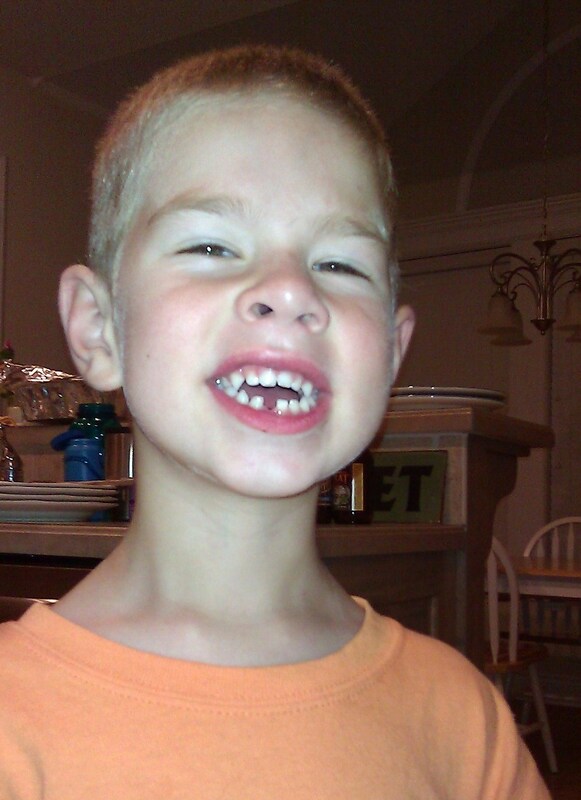 He lost his first tooth. God nudges us all the time. We often dismiss it and either attribute it to something else or ignore it all together. When we tell others about these nudges from God, we’re labeled as crazy or something alike. People would ask us all the time why we were moving. When our response was, “God told us to,” there weren’t too many follow up questions, just confused looks. Most times, we don’t fully understand what impact these nudges from God have on our lives until later on down the road. It all boils down to this for me: God started nudging us a long time ago to put His plan in action for us to be living in this house, in this town, surrounded by these people in our lives, attending this church, so that we would be in the right place at the right time. I’m so glad we listened to His nudges. Oliver lost his first tooth!